4 minute read. read this article to learn about the impact of the donations that you, as part of the glassybaby family, have made to help wild african elephants and people, each december. you support the reteti elephant sanctuary when you shop for glassybaby online during the month of december. 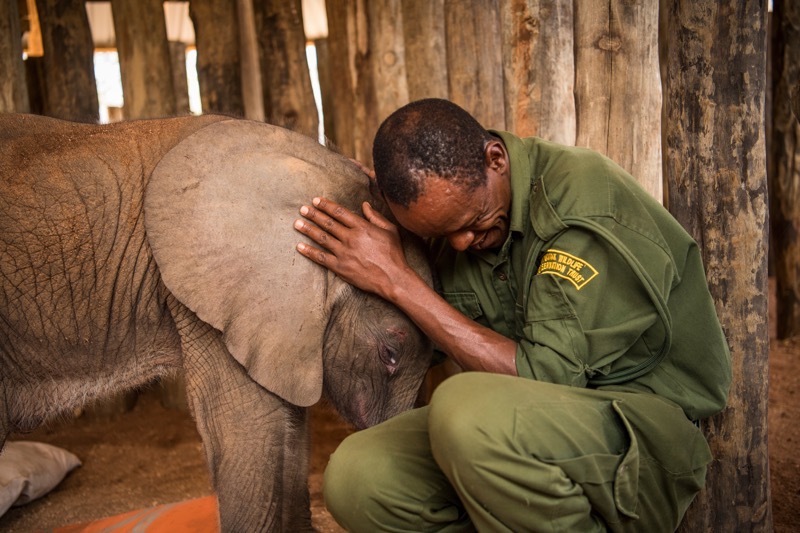 a beautiful bond between humans and elephants. two years ago, baby elephants in northern kenya who lost their parents to ivory poaching faced a grim future. in fact, the prospects for wild elephants throughout northern kenya were grim. the economic realities of the region incentivized ivory poaching, not elephant protection. then came a "courageous investment" by glassybaby, and all of that changed. it was an investment motivated by love, and funded by you. elephants represent the things we love most about life: beauty, a culture of community, and strength to overcome any obstacles. when a baby elephant's parent is killed by poachers, the baby will often linger with the body while the rest of the herd moves on, and then die from isolation and a "broken heart." that breaks your heart, doesn't it? it broke ours. that's why we took a chance back in 2015 and decided to fund a brand-new program, in partnership with conservation international, one of the world's most effective non-profits. we donated 10% from all december online sales to help build the reteti elephant sanctuary. two friendly giraffes at the sanctuary. the investment donation has paid off with incredible impact. reteti now houses 16 young elephants, all orphaned by illegal ivory poaching, all being cared for until they are old enough to rejoin their ancestral herds in the wild. along with the elephants, the sanctuary also houses and orphaned rhino, zebra, lion, and a couple giraffes. the glassybaby donation paid for much of the construction of the facilities, and helps pay for elephant food and the wages of elephant keepers. in december of 2016, 10% from glassybaby's online sales were donated to help train and deploy anti-poaching rangers, recruited from the local community, including some former poachers. together with reteti, the ranger program helps to unite the local community around elephants and their protection. the people of northern kenya are, more and more, living with elephants. with support from glassybaby, the relationship between wild nature and humans is deeper than ever before, just when it is needed the most. funding is still urgently needed at reteti. growing elephants need tons of food and care, and the sanctuary facilities must always be ready to bring in more baby elephants. that's why this december, glassybaby will donate 10% from all online sales to support the reteti elephant sanctuary, and give hope for wild african elephants. when you buy glassybaby online this month, you support wild african elephants, because 10% of all online sales are donated to the reteti elephant sanctuary. click here to give glassybaby.